Situated on a spectacular site overlooking England’s largest natural lake the building is subjected to the best & worst of the Cumbrian weather. The site had various problems with water ingress with the West facing elevation being the most problematic. Numerous cracks had appeared in the external render causing damp problems to the ground and first floor rooms. We undertook an extensive repair and redecoration project which involved clearing all flat roofs, gullies and gutters and resealing joints. We removed defective sealant to all external windows and doors and resealed the frames using a low modulas polyurethane sealant. 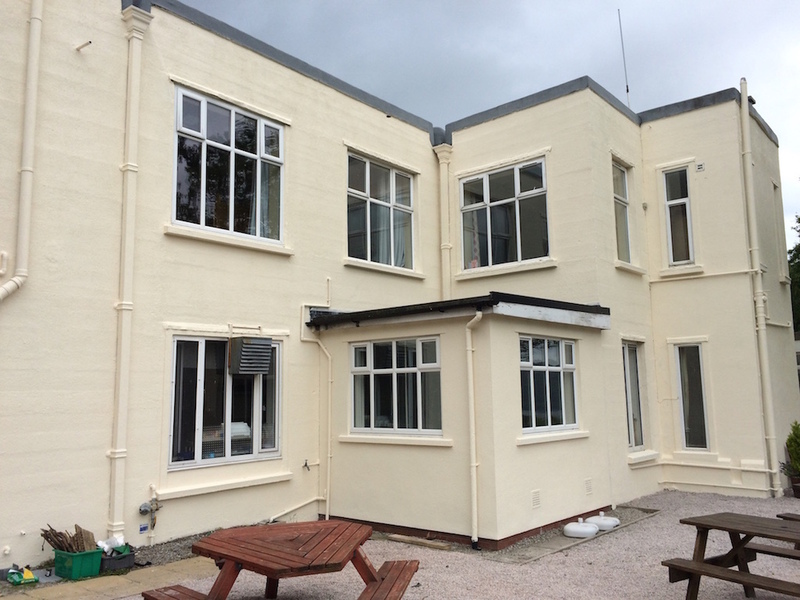 The damaged render coating to the West elevation was cleaned down with a fungicidal wash and wire brushes, we then racked out the cracks in the render to a firm edge and shallow filled them with a waterproof hybrid polymer sealant. 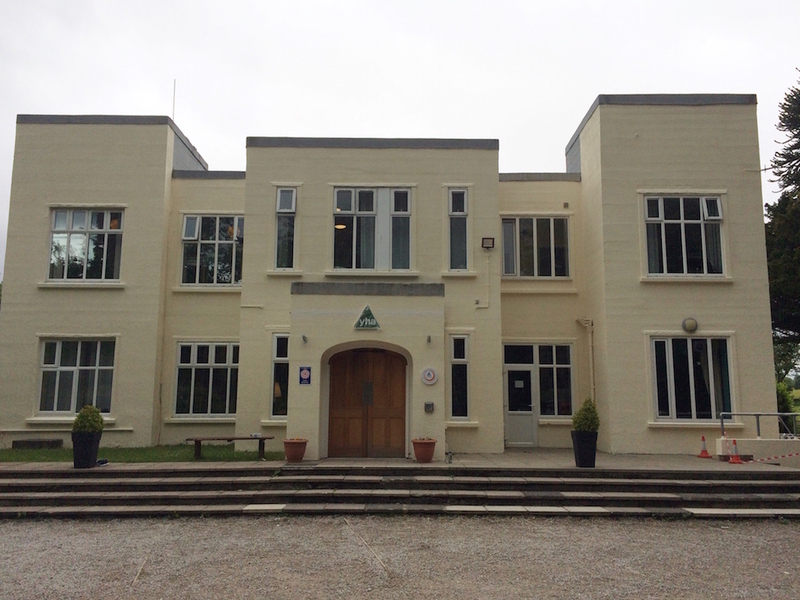 Once cured we then over coated the full elevation with a coat of Jontex Highbuild textured masonry paint which gave the building a uniform appearance. 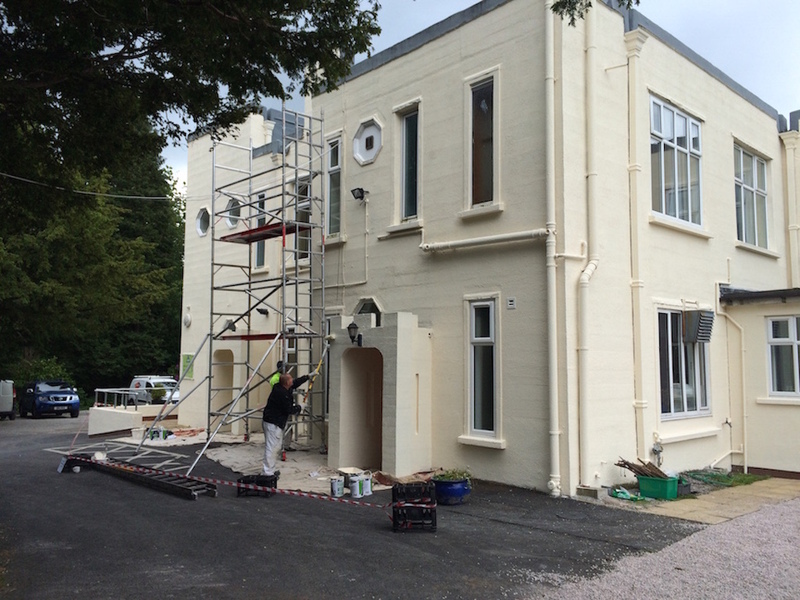 Due to project being carried out in October we recommended that a Pliolite based masonry paint be used to decorate the full building which can be applied in temperatures as low as -5 degrees Celsius and is shower proof within 20 minutes. The whole project was completed in two weeks in very testing conditions working safely at height and taking in to account that the building was fully occupied with school groups throughout the duration of the works. We are pleased to report that the work was successful and that the building is now water-tight and has been restored to its former glory. © Vision Decorators. All rights reserved.